Pet dental disease is a term that refers to the condition periodontal disease. Many pet dentists in Richmond, VA interchange both names, but they both refer to a progressive inflammatory condition which could have serious consequences for your pet. Dental disease occurs in several stages. During the first, an accumulation of plaque and tartar on the teeth can begin to irritate your pet’s gums. Then infection can set in to the soft tissue of the gums, triggering worsening symptoms until eventually, the gums may recede, and your pet’s teeth may come loose or fall out. The bone in the jaw may also deteriorate. At this point, the infection may have spread from the gums into the blood stream and travelled around the body, depositing bacteria into her major organs. This can cause major health problems to develop. Pets with severe dental disease are considered to be at high risk of being diagnosed with diabetes, heart problems, kidney and liver disorders and even cancer. If you notice any of the symptoms above, it is recommended that you arrange an appointment with your pet dentistry team or veterinarian in Richmond, VA as soon as possible. The earlier treatment is sought, the more likely you are to be able to avoid irreversible damage to her teeth and overall health. Can pet dental disease be prevented? Although there is no guarantee that your pet won’t develop dental disease at some point during her lifetime, by paying close attention to taking care of her teeth, you can reduce the likelihood of it occurring. The most effective way of doing this is to brush her teeth on a daily basis. This isn’t as difficult as it sounds, and your pet dentistry team will be delighted to explain the technique and give you a demonstration as to the best way to tackle the brushing process. Bear in mind that human toothpastes are toxic to animals and so you will need to invest in a pet toothpaste. However, it is fine to use a small, round-headed human toothbrush with soft bristles to do the actual brushing. You can also ensure you give your pet plenty of chew toys. Chewing causes her body to produce saliva which helps to neutralize plaque acids and wash away debris from the teeth. Dental chews also contain ingredient which promote healthy teeth. If you are concerned that your pet may be suffering from dental disease, prompt diagnosis and treatment are essential. 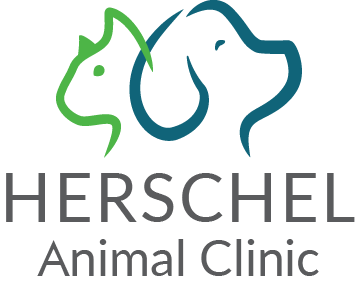 Please contact our pet dentistry team at our animal clinic in Richmond, VA today at 804-331-2880 to schedule a consultation for your beloved furbaby.